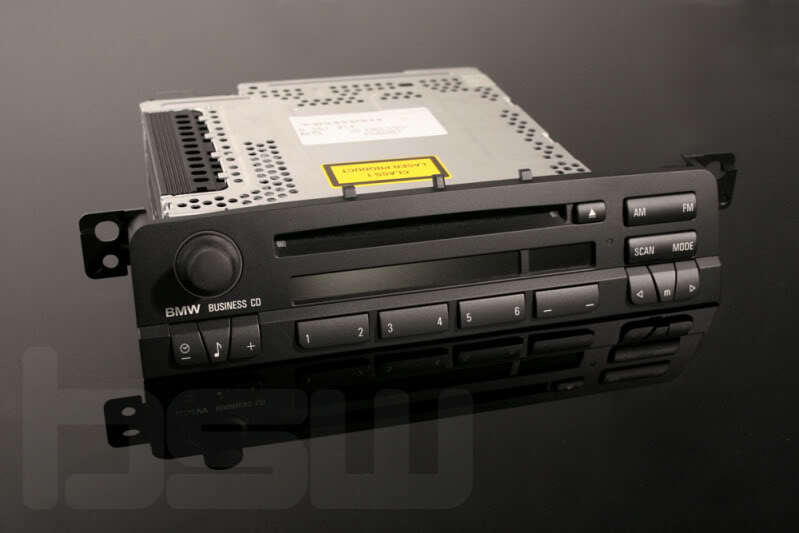 My pre 09/2002 E46 BMW 320i touring didn’t come with a CD-changer, and since the Business CD head-unit didn’t support the regular AUX mechanisms (see links further below), I’m researching how to add a Raspberry Pi as CD-changer. [WayBack] Hack Your Car: 11 Steps (with Pictures):Want to unlock your car door with your phone? Re-map steering wheel buttons, or log performance data? The Car Kracker an open-source addon for your BMW 3-Series, 5-Series, 7-Series, X-Series or Mini that lets you; Add an Aux-In or music jukebox Remap steering wheel buttons Remove the Nav warning screen Display text like emails and SMS on your Sat Nav, radio, or dashboard Access engine and performance data like air/fuel ratio, oil pressure/temp, and VANOS Code retrofit parts like rain sensors, run-flat tires, theft alarms, and keys Access the proprietary error logs to troubleshoot engine, transmission, or accessory problems. You can also upgrade Engine / Transmission firmware, remove the speed limiter, reset warning lights, and change dealer settings. Here’s a little demo of displaying a tweet on the radio; Continue to the next step and I’ll answer a few questions, then I’ll show you how to build your own. 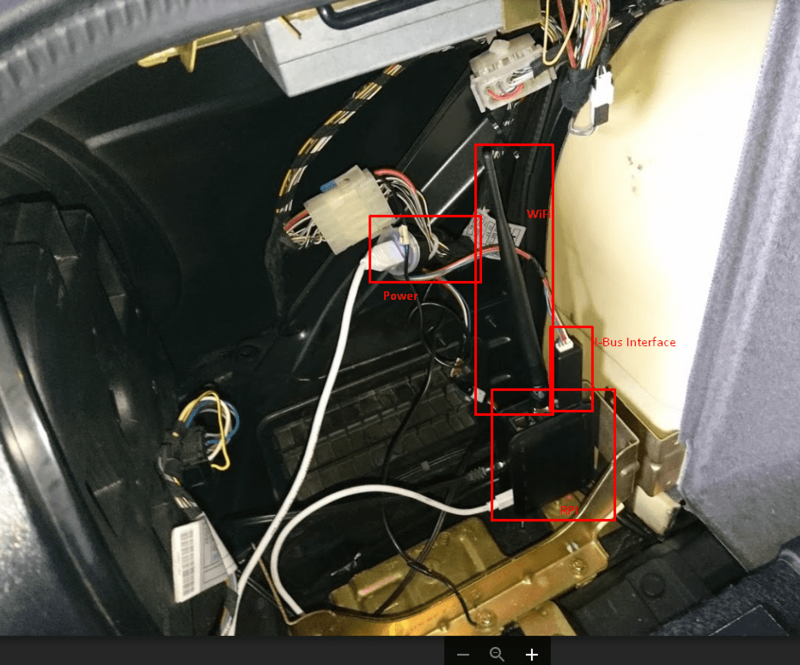 TrentSeed/BMW_E46_Android_RPi_IBUS_Controller: BMW E46 – Nexus 7 in dash, connected (via Bluetooth) to Raspberry Pi, connected to IBUS (via USB Adapter). Supports Android Wear 4.4W w/ full voice commands! 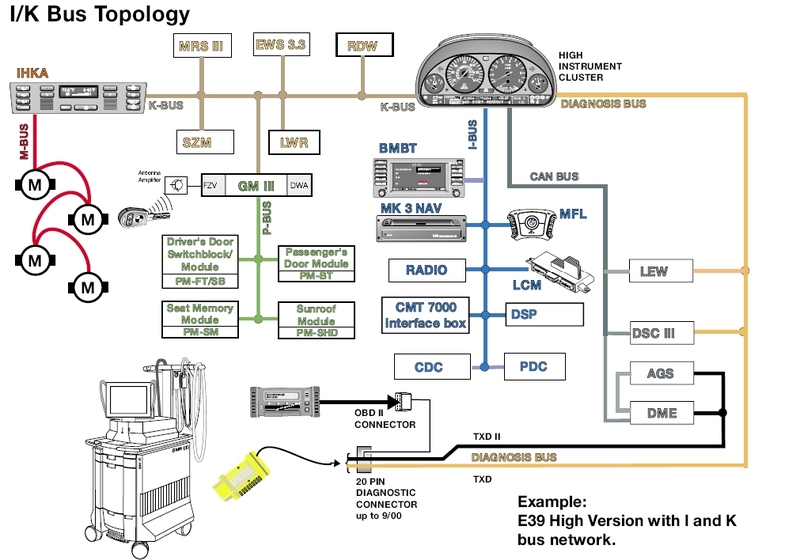 dscheerens/ikbus-core: Core abstractions for I/K-bus vehicle networks. [WayBack] Raspberry Pi • View topic – What’s the simple and safe way to do a “shutdown” button? [WayBack] Raspberry Pi • View topic – Car RPi power? Safe shutdown? [WayBack] UPS PIco Stack 450 with battery. [WayBack] NavCoder Website – NavCoder is a Windows application to reprogram BMW navigation computers and other ibus devices. 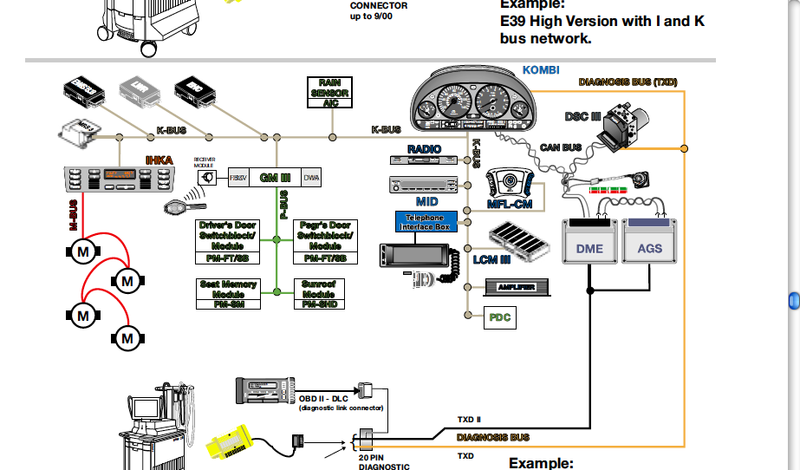 [WayBack] theksmith/CarBusInterface: Android application for interfacing with a vehicle’s communication bus via Bluetooth OBD2 dongle. [WayBack] my home made OEM radio -> ipod controller. This entry was posted on 2018/10/05 at 12:00	and is filed under cars, E46 320i touring, LifeHacker, Power User. You can follow any responses to this entry through the RSS 2.0 feed. You can leave a response, or trackback from your own site.